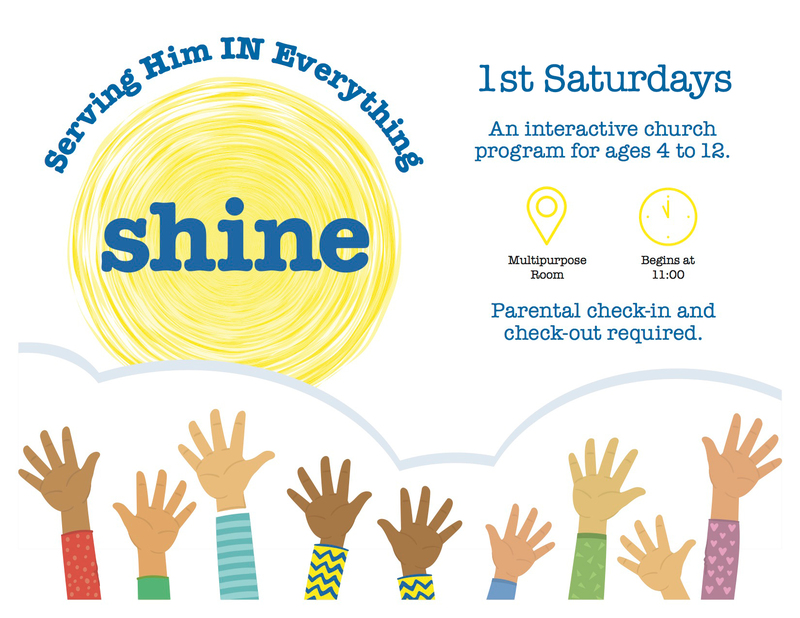 SHINE (Serving Him IN Everything) is an interactive worship service for 4-12 year olds. We meet the first Sabbath of each month in the Multipurpose Room at 11:00am. Kids participate in songs, activities, and worship experiences that help them grow in their relationship with Jesus. Parent check-in and check-out is required.